References _prefsListener(), XAP_Prefs::addListener(), AP_PREF_KEY_RulerUnits, gchar, XAP_App::getApp(), XAP_App::getPrefs(), m_bGuide, m_bIsHidden, m_bValidMouseClick, m_dim, m_draggingDocPos, m_draggingWhat, m_iHeight, m_iWidth, m_lfi, m_lidLeftRuler, m_oldY, m_pFrame, m_pG, m_pScrollObj, m_pView, m_yGuide, m_yScrollLimit, m_yScrollOffset, s_iFixedHeight, s_iFixedWidth, UT_DEBUGMSG, and UT_determineDimension(). References _prefsListener(), DELETEP, XAP_App::getApp(), XAP_App::getPrefs(), m_lfi, m_lidLeftRuler, m_pScrollObj, m_pView, XAP_Prefs::removeListener(), AV_View::removeListener(), AV_View::removeScrollListener(), UT_ASSERT, and UT_DEBUGMSG. References ap_RulerTicks::dimType, gchar, XAP_App::getApp(), XAP_Frame::getFrameData(), XAP_Frame::getFrameMode(), XAP_App::getStringSet(), XAP_StringSet::getValue(), GR_Graphics::invertDimension(), m_pFrame, m_pG, AP_FrameData::m_pStatusBar, and AP_StatusBar::setStatusMessage(). References GR_Graphics::CLR3D_Background, GR_Graphics::CLR3D_BevelUp, GR_Graphics::CLR3D_Foreground, GR_Graphics::CLR3D_Highlight, GR_Painter::drawLine(), GR_Painter::fillRect(), UT_Rect::height, UT_Rect::left, m_pG, GR_Graphics::setColor3D(), GR_Graphics::tlu(), UT_Rect::top, and UT_Rect::width. Referenced by _drawCellProperties(), and mouseMotion(). Draw simple cell markers at each row position. References _drawCellMark(), _getCellMarkerRects(), DW_CELLMARK, fp_Container::getContainer(), fp_ContainerObject::getContainerType(), fp_Page::getContainingTable(), UT_GenericVector< T >::getItemCount(), UT_GenericVector< T >::getNthItem(), fp_TableContainer::getPage(), UT_Rect::height, fp_ContainerObject::isColumnType(), m_bValidMouseClick, m_draggingCell, m_draggingWhat, AP_LeftRulerInfo::m_iCurrentRow, AP_LeftRulerInfo::m_iNumRows, AP_LeftRulerInfo::m_mode, AP_LeftRulerTableInfo::m_pCell, m_pG, m_pView, AP_LeftRulerInfo::m_vecTableRowInfo, AP_LeftRulerInfo::TRI_MODE_TABLE, UT_return_if_fail, and xxx_UT_DEBUGMSG. References fp_Container::getColumn(), fp_Container::getContainer(), fp_TableContainer::getFirstBrokenTable(), fl_ContainerLayout::getFirstContainer(), FV_View::getFrameLayout(), FV_View::getGraphics(), fp_Container::getNext(), UT_GenericVector< T >::getNthItem(), fp_TableContainer::getPage(), FV_View::getPoint(), fp_FrameContainer::getY(), fp_VerticalContainer::getY(), fp_TableContainer::getYBreak(), FV_View::isInFrame(), AP_LeftRulerTableInfo::m_iBotCellPos, AP_LeftRulerInfo::m_iNumRows, AP_LeftRulerTableInfo::m_iTopCellPos, AP_LeftRulerInfo::m_mode, AP_LeftRulerTableInfo::m_pCell, m_pView, AP_LeftRulerInfo::m_vecTableRowInfo, AP_LeftRulerInfo::m_yBottomMargin, AP_LeftRulerInfo::m_yPageSize, AP_LeftRulerInfo::m_yPageStart, m_yScrollOffset, AP_LeftRulerInfo::m_yTopMargin, s_iFixedHeight, s_iFixedWidth, UT_Rect::set(), GR_Graphics::tlu(), AP_LeftRulerInfo::TRI_MODE_TABLE, and UT_return_if_fail. Referenced by _drawCellProperties(), mouseMotion(), mousePress(), mouseRelease(), and setTableLineDrag(). References FV_View::getGraphics(), m_pView, AP_LeftRulerInfo::m_yBottomMargin, AP_LeftRulerInfo::m_yPageSize, AP_LeftRulerInfo::m_yPageStart, m_yScrollOffset, AP_LeftRulerInfo::m_yTopMargin, s_iFixedHeight, UT_Rect::set(), and GR_Graphics::tlu(). Referenced by _drawMarginProperties(), mouseMotion(), and mousePress(). References _xorGuide(), DW_BOTTOMMARGIN, DW_NOTHING, DW_TOPMARGIN, XAP_Frame::getFrameData(), XAP_Frame::getFrameMode(), m_bBeforeFirstMotion, m_draggingWhat, m_pFrame, AP_FrameData::m_pStatusBar, XAP_CustomWidget::queueDraw(), AP_StatusBar::setStatusMessage(), UT_ASSERT, and UT_SHOULD_NOT_HAPPEN. References AP_PREF_KEY_RulerUnits, dim, DIM_none, gchar, getDimension(), XAP_Prefs::getPrefsValue(), setDimension(), UT_ASSERT, and UT_determineDimension(). Referenced by AP_LeftRuler(), and ~AP_LeftRuler(). References DELETEP, GR_Painter::drawImage(), GR_Painter::drawLine(), GR_Painter::genImageFromRectangle(), AV_View::getWindowWidth(), m_bGuide, m_bValidMouseClick, m_draggingCenter, m_pView, m_yGuide, GR_Graphics::setColor(), GR_Graphics::tlu(), UT_ASSERT, and GR_Painter::xorLine(). Referenced by _ignoreEvent(), mouseMotion(), and mouseRelease(). References _drawCellProperties(), _drawMarginProperties(), GR_Painter::beginDoubleBuffering(), GR_Graphics::CLR3D_Background, GR_Graphics::CLR3D_BevelDown, GR_Graphics::CLR3D_Foreground, GR_Graphics::CLR3D_Highlight, GR_Painter::drawChars(), GR_Painter::drawLine(), GR_Painter::fillRect(), FV_View::getDocument(), GR_Graphics::getFontHeight(), GR_Graphics::getGUIFont(), getHeight(), FV_View::getLeftRulerInfo(), FV_View::getPoint(), getWidth(), GR_Graphics::getZoomPercentage(), AD_Document::isPieceTableChanging(), m_dim, m_iHeight, m_iWidth, m_lfi, m_pG, m_pView, AP_LeftRulerInfo::m_yBottomMargin, AP_LeftRulerInfo::m_yPageSize, AP_LeftRulerInfo::m_yPageStart, m_yScrollOffset, AP_LeftRulerInfo::m_yTopMargin, GR_Graphics::measureString(), s_iFixedWidth, GR_Graphics::setClipRect(), GR_Graphics::setColor3D(), GR_Graphics::setFont(), ap_RulerTicks::tickLabel, ap_RulerTicks::tickLong, ap_RulerTicks::tickScale, ap_RulerTicks::tickUnit, ap_RulerTicks::tickUnitScale, GR_Graphics::tlu(), UT_ASSERT, and UT_UCS4_strcpy_char(). Referenced by drawLU(), and scrollRuler(). References m_iWidth, m_pG, and GR_Graphics::tlu(). Referenced by AP_Win32FrameImpl::_createLeftRuler(), AP_Win32FrameImpl::_createTopRuler(), AP_Win32FrameImpl::_DocumentWndProc(), AP_Win32FrameImpl::_getRulerSizes(), drawLU(), mouseMotion(), mousePress(), and mouseRelease(). References _displayStatusMessage(), _drawCellMark(), _getCellMarkerRects(), _getMarginMarkerRects(), _ignoreEvent(), _xorGuide(), UT_Rect::containsPoint(), DW_BOTTOMMARGIN, DW_CELLMARK, DW_NOTHING, DW_TOPMARGIN, FV_View::getDocument(), FV_View::getEditShadow(), FV_View::getGraphics(), fl_HdrFtrShadow::getHdrFtrSectionLayout(), fl_HdrFtrSectionLayout::getHFType(), FV_View::getLeftRulerInfo(), getWidth(), GR_Graphics::GR_CURSOR_DEFAULT, GR_Graphics::GR_CURSOR_GRAB, GR_Graphics::GR_CURSOR_UPDOWN, GR_Graphics::GR_CURSOR_WAIT, FV_View::isHdrFtrEdit(), AV_View::isLayoutFilling(), AD_Document::isPieceTableChanging(), m_bBeforeFirstMotion, m_bEventIgnored, m_bValidMouseClick, m_dim, m_draggingCenter, m_draggingWhat, m_infoCache, AP_LeftRulerInfo::m_iNumRows, m_minPageLength, AP_LeftRulerInfo::m_mode, m_pG, m_pView, AP_LeftRulerInfo::m_yBottomMargin, AP_LeftRulerInfo::m_yPageSize, AP_LeftRulerInfo::m_yPageStart, m_yScrollOffset, AP_LeftRulerInfo::m_yTopMargin, XAP_CustomWidget::queueDraw(), XAP_CustomWidgetLU::queueDrawLU(), s_iFixedHeight, ap_RulerTicks::scalePixelDistanceToUnits(), UT_Rect::set(), GR_Graphics::setCursor(), ap_RulerTicks::snapPixelToGrid(), GR_Graphics::tlu(), AP_LeftRulerInfo::TRI_MODE_TABLE, UT_ASSERT, UT_DEBUG_ONLY_ARG, UT_DEBUGMSG, UT_SHOULD_NOT_HAPPEN, UT_Rect::width, and xxx_UT_DEBUGMSG. Referenced by AP_Win32LeftRuler::_LeftRulerWndProc(), Defun(), and AP_UnixLeftRuler::_fe::motion_notify_event(). References _getCellMarkerRects(), _getMarginMarkerRects(), UT_Rect::containsPoint(), FV_View::getDocument(), FV_View::getGraphics(), FV_View::getLeftRulerInfo(), AV_View::getPoint(), getWidth(), GR_Graphics::GR_CURSOR_GRAB, AD_Document::isPieceTableChanging(), m_bBeforeFirstMotion, m_bEventIgnored, m_bValidMouseClick, m_dim, m_draggingCell, m_draggingCenter, m_draggingWhat, m_infoCache, AP_LeftRulerInfo::m_iNumRows, AP_LeftRulerInfo::m_mode, m_oldY, m_pG, m_pView, AP_LeftRulerInfo::m_yPageStart, m_yScrollOffset, AP_LeftRulerInfo::m_yTopMargin, GR_Graphics::setCursor(), ap_RulerTicks::snapPixelToGrid(), AP_LeftRulerInfo::TRI_MODE_TABLE, UT_ASSERT, UT_Rect::width, and xxx_UT_DEBUGMSG. 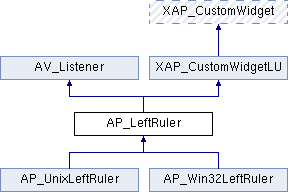 Referenced by AP_Win32LeftRuler::_LeftRulerWndProc(), and AP_UnixLeftRuler::_fe::button_press_event(). References _getCellMarkerRects(), _ignoreEvent(), _xorGuide(), AV_CHG_HDRFTR, AV_CHG_MOTION, UT_String::c_str(), ap_RulerTicks::dimType, DW_BOTTOMMARGIN, DW_CELLMARK, DW_NOTHING, DW_TOPMARGIN, FV_View::ensureInsertionPointOnScreen(), FL_DocLayout::findPage(), gchar, fl_ContainerLayout::getAP(), fp_CellContainer::getBottomAttach(), fp_Container::getContainer(), fl_SectionLayout::getDocLayout(), fl_HdrFtrSectionLayout::getDocSectionLayout(), FV_View::getDocument(), FV_View::getDragTableLine(), FV_View::getEditShadow(), fl_ContainerLayout::getFirstLayout(), FV_View::getFrameLayout(), FV_View::getGraphics(), fp_Page::getHdrFtrP(), fl_HdrFtrShadow::getHdrFtrSectionLayout(), fl_HdrFtrSectionLayout::getHFType(), UT_GenericVector< T >::getItemCount(), FV_View::getLeftRulerInfo(), UT_GenericVector< T >::getNthItem(), FL_DocLayout::getNthPage(), fl_HdrFtrShadow::getPage(), FV_View::getPoint(), AV_View::getPoint(), fl_BlockLayout::getPosition(), PP_AttrProp::getProperty(), fp_ContainerObject::getSectionLayout(), fp_ShadowContainer::getShadow(), fp_CellContainer::getTopAttach(), getWidth(), fp_TableContainer::getYOfRow(), GR_Graphics::GR_CURSOR_DEFAULT, UT_Rect::height, GR_Graphics::invertDimension(), FV_View::isHdrFtrEdit(), FV_View::isInFrame(), FV_View::isInTable(), AD_Document::isPieceTableChanging(), m_bEventIgnored, m_bValidMouseClick, m_dim, m_draggingCell, m_draggingCenter, m_draggingDocPos, m_draggingWhat, m_infoCache, AP_LeftRulerInfo::m_mode, m_oldY, AP_LeftRulerTableInfo::m_pCell, m_pG, m_pView, AP_LeftRulerInfo::m_vecTableRowInfo, AP_LeftRulerInfo::m_yPageSize, AP_LeftRulerInfo::m_yPageStart, m_yScrollOffset, AP_LeftRulerInfo::m_yTopMargin, notify(), FV_View::notifyListeners(), ap_RulerTicks::scalePixelDistanceToUnits(), GR_Graphics::setCursor(), FV_View::setFrameFormat(), FV_View::setHdrFtrEdit(), FV_View::setPoint(), FV_View::setSectionFormat(), FV_View::setTableFormat(), ap_RulerTicks::snapPixelToGrid(), UT_Rect::top, AP_LeftRulerInfo::TRI_MODE_FRAME, UT_ASSERT, UT_convertToLogicalUnits(), UT_DEBUGMSG, UT_formatDimensionedValue(), UT_LAYOUT_RESOLUTION, UT_return_if_fail, UT_SHOULD_NOT_HAPPEN, and xxx_UT_DEBUGMSG. Referenced by AP_Win32LeftRuler::_LeftRulerWndProc(), AP_UnixLeftRuler::_fe::button_release_event(), and Defun(). References AV_CHG_CELL, AV_CHG_FMTSECTION, AV_CHG_HDRFTR, FV_View::getDocument(), m_pView, XAP_CustomWidget::queueDraw(), UT_ASSERT, and UT_DEBUG_ONLY_ARG. References FV_View::getDocument(), getHeight(), UT_Rect::height, UT_Rect::left, m_lfi, m_pG, m_pView, m_yScrollLimit, m_yScrollOffset, AP_LeftRulerInfo::m_yTopMargin, XAP_CustomWidgetLU::queueDrawLU(), s_iFixedWidth, s_IsOnDifferentPage(), GR_Graphics::scroll(), GR_Graphics::tlu(), UT_Rect::top, UT_ASSERT, and UT_Rect::width. Referenced by AP_Win32FrameImpl::_DocumentWndProc(), AP_UnixLeftRuler::_fe::configure_event(), and AP_Win32LeftRuler::createWindow(). References _getCellMarkerRects(), UT_Rect::containsPoint(), FV_View::getDocument(), FV_View::getGraphics(), FV_View::getLeftRulerInfo(), AV_View::getPoint(), FV_View::getViewMode(), GR_Graphics::GR_CURSOR_DEFAULT, GR_Graphics::GR_CURSOR_GRAB, UT_Rect::height, AD_Document::isPieceTableChanging(), UT_Rect::left, m_bBeforeFirstMotion, m_bEventIgnored, m_bValidMouseClick, m_draggingCell, m_draggingCenter, m_draggingDocPos, m_draggingWhat, m_infoCache, AP_LeftRulerInfo::m_iNumRows, m_iWidth, AP_LeftRulerInfo::m_mode, m_pG, m_pView, AP_LeftRulerInfo::m_yTopMargin, XAP_CustomWidget::queueDraw(), s_iFixedWidth, GR_Graphics::setCursor(), GR_Graphics::tlu(), UT_Rect::top, AP_LeftRulerInfo::TRI_MODE_TABLE, UT_ASSERT, UT_MAX, UT_Rect::width, and xxx_UT_DEBUGMSG. References m_minPageLength, m_pG, setView(), GR_Graphics::setZoomPercentage(), UT_ASSERT, and UT_convertToLogicalUnits(). References _scrollFuncX(), _scrollFuncY(), AV_View::addListener(), AV_View::addScrollListener(), DELETEP, m_lidLeftRuler, m_pScrollObj, m_pView, AV_View::removeListener(), and UT_ASSERT. Referenced by _refreshView(), AP_Win32FrameImpl::_toggleLeftRuler(), and setView(). References XAP_Frame::getFrameData(), m_iWidth, m_pFrame, AP_FrameData::m_pTopRuler, and AP_TopRuler::setOffsetLeftRuler(). Referenced by AP_UnixLeftRuler::_fe::configure_event(), and AP_Win32LeftRuler::createWindow(). References GR_Graphics::clearFont(), m_minPageLength, m_pG, GR_Graphics::setZoomPercentage(), and UT_convertToLogicalUnits(). Referenced by _xorGuide(), and AP_LeftRuler(). Referenced by AP_LeftRuler(), and setViewHidden(). Referenced by _drawCellProperties(), _xorGuide(), AP_LeftRuler(), mouseMotion(), mousePress(), mouseRelease(), and setTableLineDrag(). Referenced by AP_LeftRuler(), drawLU(), mouseMotion(), mousePress(), mouseRelease(), and setDimension(). Referenced by AP_LeftRuler(), mouseRelease(), and setTableLineDrag(). Referenced by _drawCellProperties(), _ignoreEvent(), AP_LeftRuler(), mouseMotion(), mousePress(), mouseRelease(), and setTableLineDrag(). Referenced by AP_LeftRuler(), drawLU(), getHeight(), and setHeight(). Referenced by AP_LeftRuler(), drawLU(), getWidth(), setTableLineDrag(), and setWidth(). Referenced by AP_LeftRuler(), drawLU(), scrollRuler(), and ~AP_LeftRuler(). Referenced by AP_LeftRuler(), setView(), and ~AP_LeftRuler(). Referenced by AP_LeftRuler(), mousePress(), and mouseRelease(). Referenced by _displayStatusMessage(), _ignoreEvent(), AP_LeftRuler(), AP_UnixLeftRuler::_fe::button_press_event(), AP_UnixLeftRuler::_fe::button_release_event(), AP_UnixLeftRuler::_fe::motion_notify_event(), setWidth(), and AP_UnixLeftRuler::~AP_UnixLeftRuler(). Referenced by _displayStatusMessage(), _drawCellMark(), _drawCellProperties(), _drawMarginProperties(), AP_Win32LeftRuler::_LeftRulerWndProc(), AP_LeftRuler(), AP_UnixLeftRuler::AP_UnixLeftRuler(), AP_Win32LeftRuler::AP_Win32LeftRuler(), AP_UnixLeftRuler::_fe::button_press_event(), AP_UnixLeftRuler::_fe::button_release_event(), AP_UnixLeftRuler::createWidget(), AP_Win32LeftRuler::createWindow(), drawLU(), getHeight(), getWidth(), AP_UnixLeftRuler::_fe::motion_notify_event(), mouseMotion(), mousePress(), mouseRelease(), scrollRuler(), setTableLineDrag(), AP_Win32LeftRuler::setView(), AP_UnixLeftRuler::setView(), setView(), setZoom(), AP_UnixLeftRuler::~AP_UnixLeftRuler(), and AP_Win32LeftRuler::~AP_Win32LeftRuler(). Referenced by _drawCellProperties(), _getCellMarkerRects(), _getMarginMarkerRects(), _refreshView(), _xorGuide(), AP_LeftRuler(), drawLU(), mouseMotion(), mousePress(), mouseRelease(), notify(), scrollRuler(), setTableLineDrag(), setView(), setViewHidden(), and ~AP_LeftRuler(). Referenced by AP_LeftRuler(), and scrollRuler(). Referenced by _getCellMarkerRects(), _getMarginMarkerRects(), AP_LeftRuler(), drawLU(), mouseMotion(), mousePress(), mouseRelease(), and scrollRuler(). Referenced by _getCellMarkerRects(), _getMarginMarkerRects(), AP_LeftRuler(), and mouseMotion(). Referenced by _getCellMarkerRects(), AP_LeftRuler(), AP_UnixLeftRuler::createWidget(), AP_Win32LeftRuler::createWindow(), drawLU(), scrollRuler(), and setTableLineDrag().